Comments: Mary Elizabeth Chew (Nee: Pitzer) | In USA | | Comments: John William and wife Mary Elizabeth Pitzer Chew, and others unknown. Picture was received from my cousin Richard Chew, grandson of John and Mary Chew. 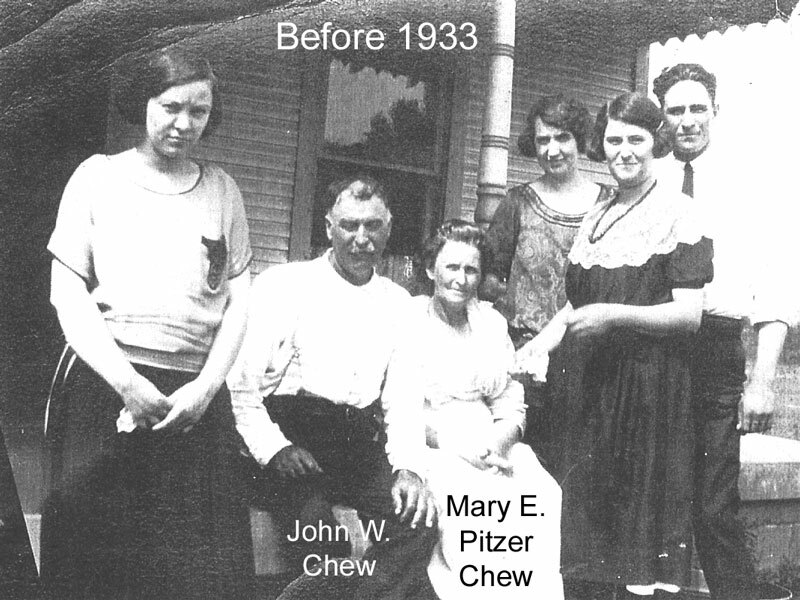 Mary Elizabeth Pitzer Chew is 1st cousin, twice removed, to myself. Would like to hear from anyonw who knows who the others are in the picture. Picture was taken before 1933, as John W. Chew passed away February 5, 1933. John and Mary Chew lived in Indiann.